want to live this arty life together! Ted you are the Lady GaGa of art teachers! proud to be one of your groupys..I mean followers : )! Thanks for inspiring me. Congrats!!! I love to see what others are creating!! so how do you do it? I started my art teacher blog in December, and have 3 followers. What is the secret to your success? Hurray! I'm tailing you, buddy! Congrats on hitting 600. Pretty crazy, huh? How about, instead of Lady Gaga, we say you're the Bruce Springsteen of art teachers, because you rock! - we can call you 'the boss'! Oh the pressure! Arrghhh! I finally broke out of the 60's and am now somewhere in the 70's! Yea! I know I'll never get to 600 but at least I can say I know you! LOL! Congratulations on a following well deserved, Ted. Did I ever tell you that your blog was the first one I ever read? That should make you feel pretty spanky! Pat..that is very cool!!! :) Though you were probably like...who is this yeah-hoo?!? 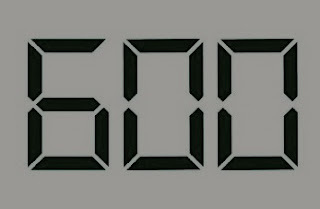 :) ha ha You could easily get to 600!! Its all about the right place at the right time. Pinterest came along at the right time when my blog was going to 100 or so....then BOOM! It blew up.